Dutch violinist Rudolf Koelman is one of Jascha Heifetz's last pupils and was the first leader of the Royal Concertgebouw Orchestra for many years. 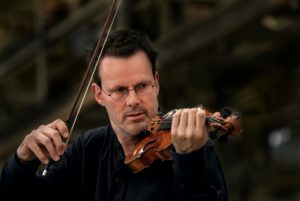 He teaches at the Zurich University of the Arts (ZHdK) and is frequently invited as a juror and guest professor at international violin competitions and master courses. Besides his teaching career he regularly performs worldwide as a soloist and has made numerous TV, radio and CD recordings - among them, a live recording of all 24 Paganini Caprices.